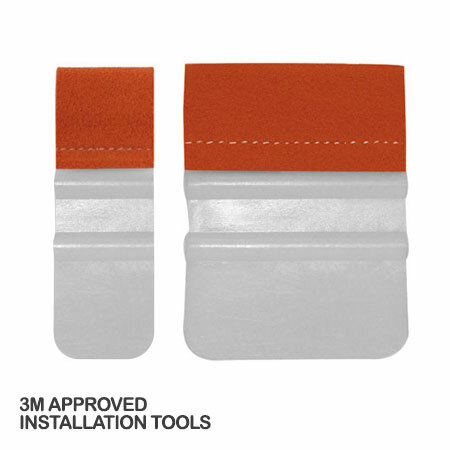 The Marine squeegee series, genuine, original Geek Wraps® squeegees - branded and stitched. Multiple wet apply use, Paint Protection Films, Automotive, Marine, Residential & Commercial Window Tinting, Chrome Wraps, wet apply vinyl graphics and vehicle wrap surfaces. The long lasting double soft edge has one super soft edge (800,000 rubs) it also works excellent with Geek Wraps® Wrap Juice™. These squeegees do not attract to our magnets. These squeegees are sold individually and sizes will vary, anywhere from 1.5" to 2.15"